Returns policy You can return your order within 30 days after receiving it. J1M071 – Be different, Babe! Don't just dream it, do it! With the label J1MO71 the twins realize their personal dream! Since early childhood they have been drawing their own designs and grew their interest in fashion. They developed the name of their brand themselves. JIMO means twin in Haitian. The design of the characteristic J1MO71 logo contains the 71, a reversed 17 for Lisa's & Lena's birthday in June of 2002. But there are more hidden L&L-messages: The number one in J1MO stands for One Love, the unbreakable bond between not only the two twins but also between them and their fans. The drawn eye means that the girls always look out for each other and have each other's backs. Furthermore, "Live. Laugh. 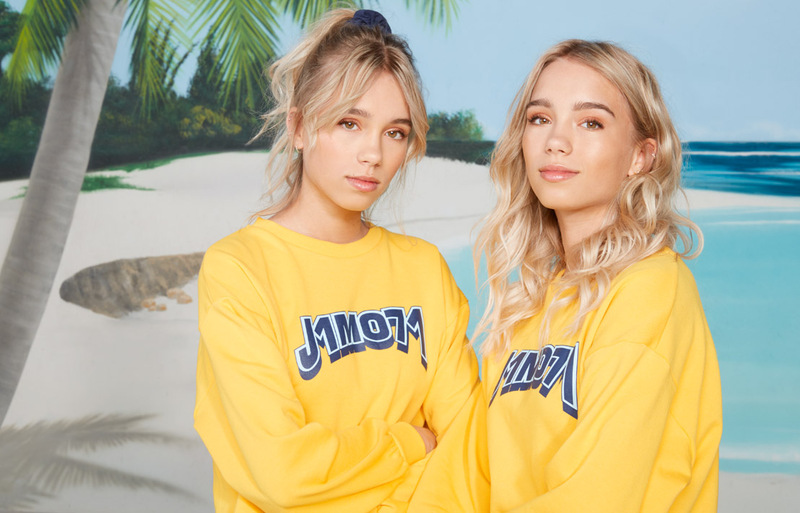 Love" symbolizes Lisa & Lena's motto, which can be found on many pieces of the J1MO71 debut collection. The J1MO71 styles are wild, extraordinary and a little crazy - just like the twins themselves. Sign up for our newsletter and be the first one to receive new information about the twins and their fashion brand J1MO71!